My website, this one, AdamRobinson.ninja, is an author website, right? What do I have on it? I have some links to publications, a bio (which I made available for anyone to use at their discretion, like editors or reading series hosts, as well as my photos), a way to get ahold of me, and a blog that I don’t update frequently enough. Simple. 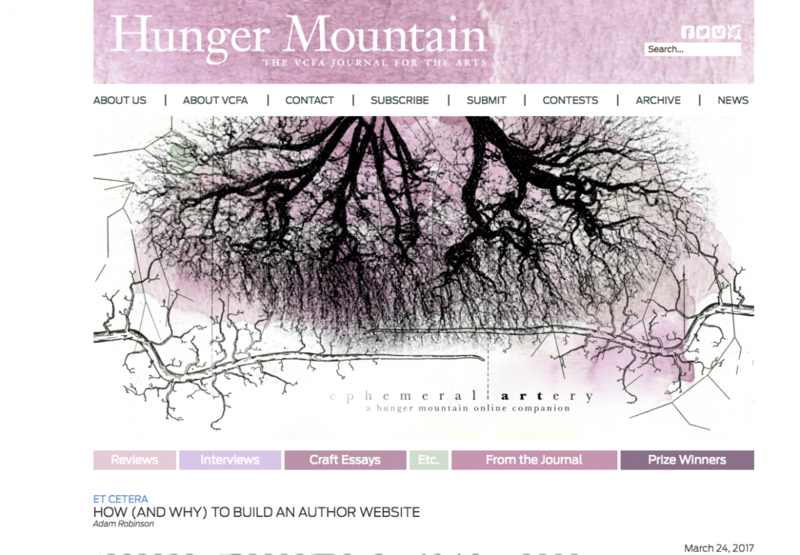 At Hunger Mountain, I’ve published a long essay about how to build an author website, and why.